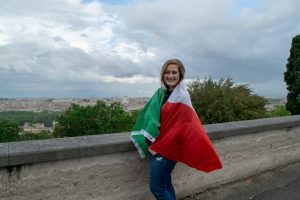 SAI caught up with SAI Ambassador Morgan, who answers some questions about her time touring Italy while studying in Rome. Something that surprised me most about Rome was how small it felt even though it is the largest city in Italy with a population of over two million. I know that there is a lot of Rome that I did not get to see and experience, but as a whole, I think of Rome as a town rather than a huge city. This may seem preposterous because Rome is indeed very big; however, I think I had this small city feeling because there are no skyscrapers and everything is close together. I was not expecting to have this feeling about such a large city at all! 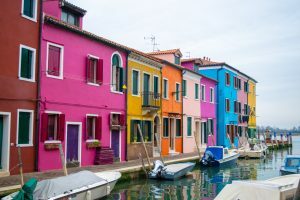 Before I left for my abroad experience, I was nervous about living in a city because I am not the typical “city girl.” Although Rome is definitely typical city living, it was not nearly as scary as I thought it was going to be. I adapted well and did not always feel like I was living in a giant place. It is pretty cool to me that I felt a sense of community in such a big city, especially with being an outsider to the culture. My favorite thing to do in Rome was to explore somewhere or something new every single day. I tried very hard to make this a goal of mine, and I kept up with it pretty well. I met people who have lived in Rome for over ten years and they still haven’t experienced all Rome has to offer. That is incredible. There is SO much to do in the Eternal City it is insane. 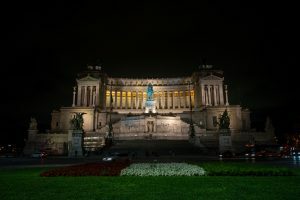 Whether it was a neighborhood I had never visited, a new gelateria I had never tried, or a statue I had never seen, Rome gave me the opportunity to explore something new each day I was there. I absolutely loved stumbling across something I hadn’t noticed before as well. In Trastevere, which is the neighborhood I lived in, there are a ton of cobblestone streets filled with shops, restaurants, and hidden gems. I walked these streets every single day and each day I was able to stumble across a new store, restaurant, or church that I had never been to. Every day was exciting to me because I never knew where the day would take me in the beautiful Eternal City. My most memorable interaction with a local actually happened in the region of Abruzzo. My friend Kayla and I took a weekend trip to this region (just east of Lazio) and visited a couple of different towns. We were at the bus station in a small town called Castel di Sangro waiting for our bus to pick us up and take us to the train station in another town so that we could get back to Rome. While we were waiting for the bus, an Italian man probably in his eighties was outside with his dog and started speaking to us in Italian. Not being even close to fluent in Italian, Kayla and I had no idea what he was saying so we just smiled, gave a nod, and pretty much ignored him. As much as we tried that, he approached us and would not let us off with just a smile or a nod. As soon as I said “Ciao,” he was all about talking to us even more. With the little Italian that I did know from being in Italy, I was able to make out a couple of words, but nothing made sense to me. That is when I pulled out good ole Google Translate and attempted using the voice feature to translate what he was saying. This kind old man kept repeating the same thing over and over again. It turns out he was asking what we were doing and if we were Italian. I then proceed to ask him how old his dog is in Italian and he had no idea what I was saying. (Tip: do not completely rely on Google Translate for speaking!) Next, he asked Kayla and I if we wanted to come into his home for some coffee. He said that his wife would make it for us and that it is warm up there (his house was above the building the bus station was at). Our bus arrived within the next few minutes and we said “Arrivederci!” to the sweet old Italian. This interaction was the most memorable for me because this man tried so hard to communicate with us and to get to know us despite the language barrier. We were hesitant on going into his home for coffee, and when we told him no thanks, he seemed to be offended. Coming from the States, we are taught from birth not to talk to strangers and that sticks with every American throughout their entire life. Being in this small Italian town made me realize that most people are good. This man was sincere in his conversation and because of cultural differences, we offended him by denying his request to serve us coffee. I will never forget this interaction in Abruzzo because it was one of the most genuine conversations I have ever had with someone. Although neither of us spoke each other’s language, the conversation was one I will never forget. 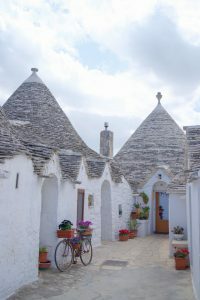 Looking back at my own study abroad experience, there are some things that I wish I was told before I left. While I was not afraid of immersing myself in the Italian culture, I held myself back from creating friendships with Italians at my school. Before I left for Italy and during my first few weeks there, I heard so many of the negative attitudes Italians have toward Americans. 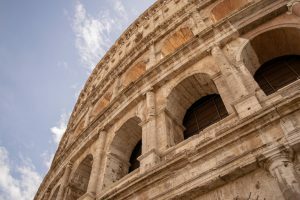 These stereotypes played with my mind and kept me from reaching out to people I wanted to grow a connection within Rome. 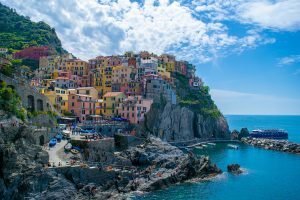 It was not until the end of the semester that I felt comfortable enough to put myself out there and make friends with Italians I met during my time at John Cabot University. 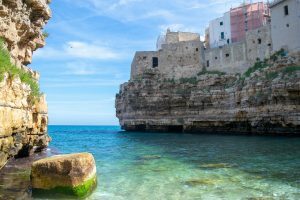 My advice for new study abroad students is to completely and wholeheartedly immerse yourself into the Italian culture and build relationships with Italians at your school and in and around your community. Remember where you come from and how important that is to you, but also know that not everyone holds to those negative stereotypes that you may hear. Regardless, put yourself out there and make friends with Italians in your classes. The friendships you make with people who are from Italy are some of the most exciting, beneficial, and comforting relationships you could have in your time abroad and when you return home. Morgan was a spring 2018 SAI Rome student from St. Norbert College.